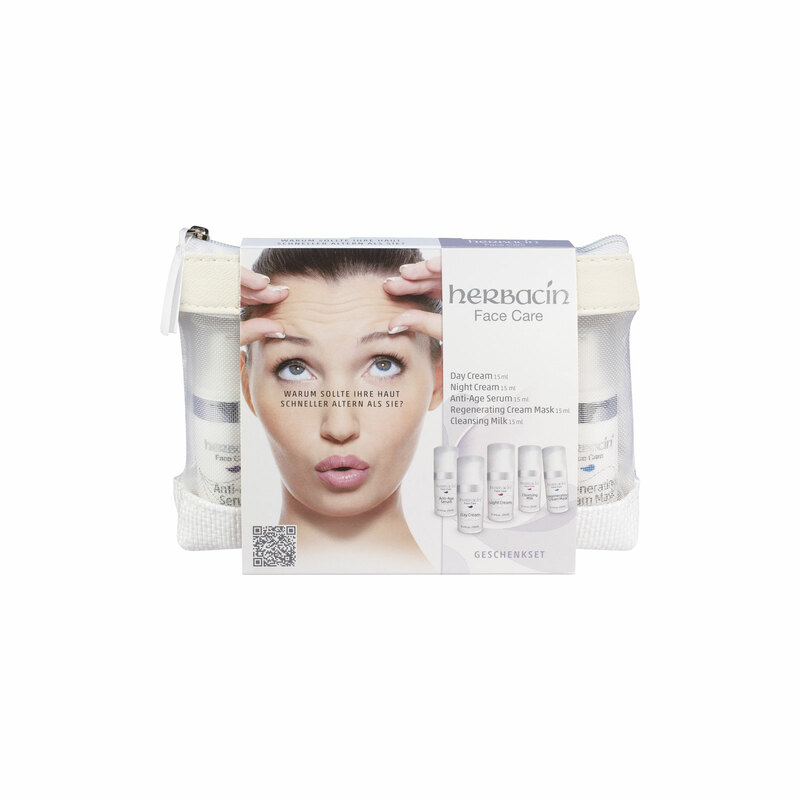 The ideal gift for others or yourself – the Herbacin pampering program for today’s woman. Women´s skin requires attention and care from an early stage. Looking to defy the signs of time, keeping it quick and easy? Then give your face, neck and décolleté some royal pampering, day after day! Perfectly balanced care with luxurious almond oil, jojoba oil and shea butter. Rich in naturally active moisturizing boosters such as dex-panthenol, fucose biopolymer and White Lupine extract, this ultra-light Day Cream is suitable for all skin types. A gentle, nourishing formula with almond oil, avocado oil and shea butter has a lasting soothing effect. Natural extracts of chamomile and lotus blossoms as well as ingredients from the seed of the moth bean (vigna aconitifolia) stimulate cell renewal while you sleep. This well-balanced formulation contains the finest lipids of sweet almonds and shea nuts. An innovative bio-active complex gets a naturally moisturizing boost from White Lupine extract and highly-dosed hyaluronic acid. Combined with the anti-aging agent carnosine to help counteract premature skin aging, it is the best defense for all skin types. Formulated with valuable jojoba and sweet almond oil, it protects the skin’s hydrolipidic film while leaving you with a clear, fresh, and radiant complexion. Vegetable glycerine plus natural White Lupine and ripe melon extracts promote optimal skin hydration. This regenerating anti-aging cream mask combines valuable oils, innovative active ingredients from plants plus active high-tech anti-aging ingredients in a very rich skin care formula.